In an effort to replenish its depleted exchequer, the Wednesday Afternoon Fine Arts League decides to form an all-girl orchestra. Saxophonist Lucy is rejected when Ethel comments to the membership: "When Lucy plays it sounds like a mouse with a head cold." 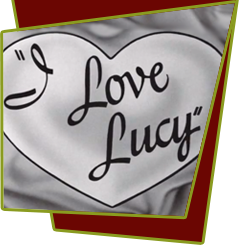 Lucy plots to gain entry into the female quintet by offering Ricky's professional services, without his permission, of course. After much hemming and hawing, Ricky relents, and the all-girl quintet becomes a sextet with a seasoned bandleader. At the first rehearsal, Ricky is appalled by the girls' meager musical talents when they attempt their big number, Twelfth Street Rag. They sound pitiful. Things take a turn for the worse when an item appears in a newspaper hinting that "Ricky Ricardo has formed an all-girl orchestra." To save his reputation, Ricardo plants six member of his own band, dressed as women, in the club orchestra for its dinner-dance engagement. Special Notes: In this episode, Ethel barely knows how to play the piano; yet in many past episodes, Ethel plays the piano very well.